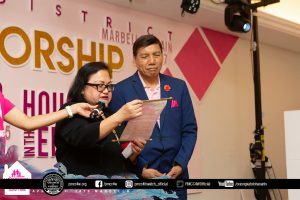 Grand Worship & Dedication Sunday, April 7, 2019 Master of Ceremony, Ptr. 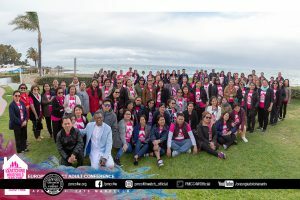 Jessette Noche, Sub-Coordinator of the Blue Area and head pastor of Nice locale together with the UK praise and worship team joyfully ushered worshippers in the presence of the Lord! 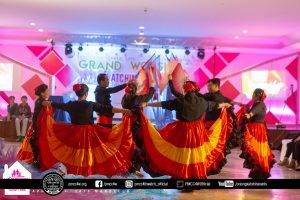 The opening prayer was led by Ptr. 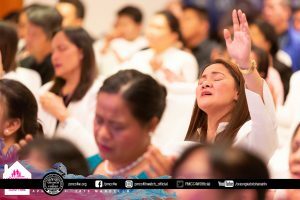 Mylene Estopa and the announcements were given by Ptr. Tess Salanap. 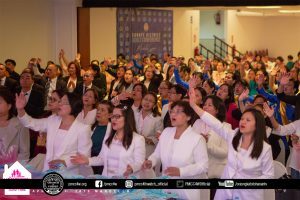 A heavenly song of praise was rendered by the hosting locale church of Marbella followed by the scripture reading led by Ptr. Tom Salanap. 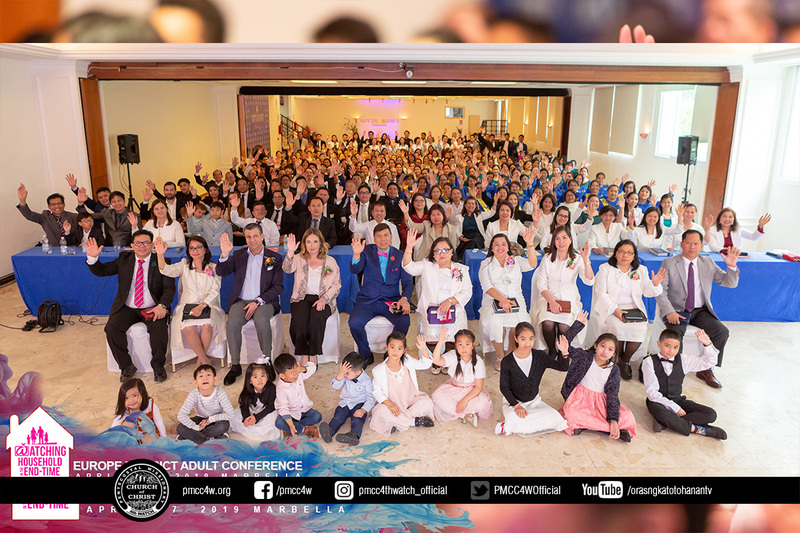 Another song of praise was offered by the delegates of Madrid locale before dedicating the newly elected batch of officers both for the district and elders department. 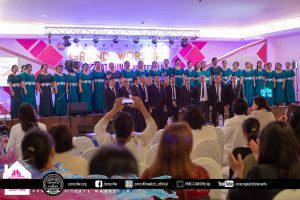 A song of praise was, then, lifted up by the delegates from the United Kingdom. 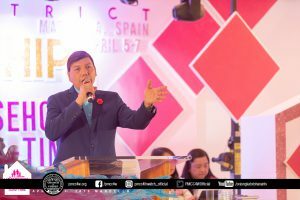 The message of blessings was delivered by Ptr. 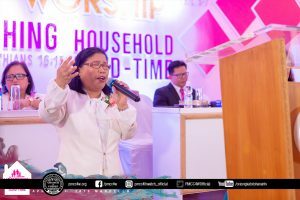 Rhodora Ramos, encouraging everyone to give their best offering to the Lord. 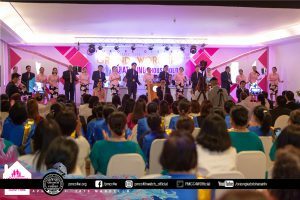 To prepare the hearts and minds of the worshippers, a song of praise was rendered by the Philippi District Adult Officers and the words of God were powerfully delivered by Presbyter Gali Concepcion leading everyone in the spirit of dedication. 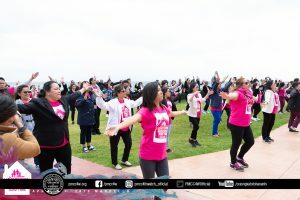 Fellowship hour was enjoyed at the breezy seaside venue of the hotel. 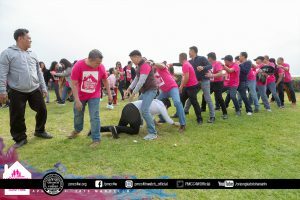 As a warm up, a repeat performance of the flashmob was conducted, followed by team building games, activities and bonding. 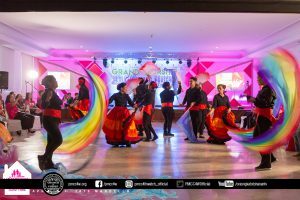 A showcase of talents sparked the evening giving glory to God A showcase of talents sparked the evening giving glory to God! 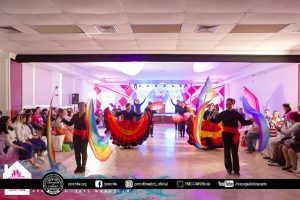 Songs and choreography together with vibrant props and uniforms filled the main service hall. 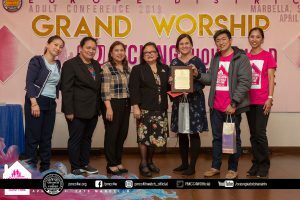 First time delegates and participating locale churches were recognized by the adult officers. 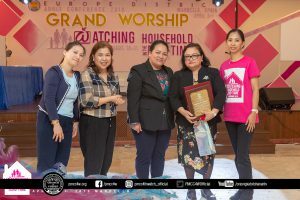 Tokens of appreciations were also presented to the hosting locale church and to the guest speakers. 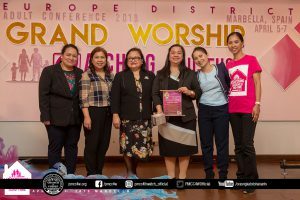 A special video presentation was shown in appreciation for the constant support and dedication of the beloved Europe District Coordinator, Presbyter Violy Concepcion. 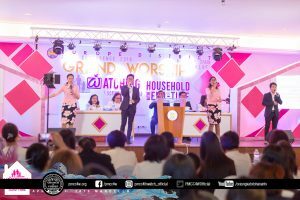 To conclude the Adult Conference 2019, one final heart-felt message was exhorted by Presbyter Gali Concepcion, followed by a closing prayer to seal the victory of this very memorable event. 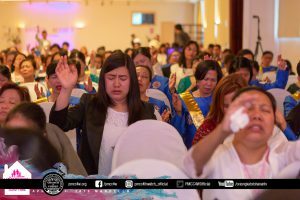 Thanks be to God for the empowerment and refreshing of the Spirit. Praise the Lord!